If you’ve been following my Five Sentence Fiction story over the last couple of months, you’ll know that it takes place in the Civil War-Era South. And if you’ve been stalking me lately, you’ll know that, coincidentally, I’ve also just moved to Atlanta. 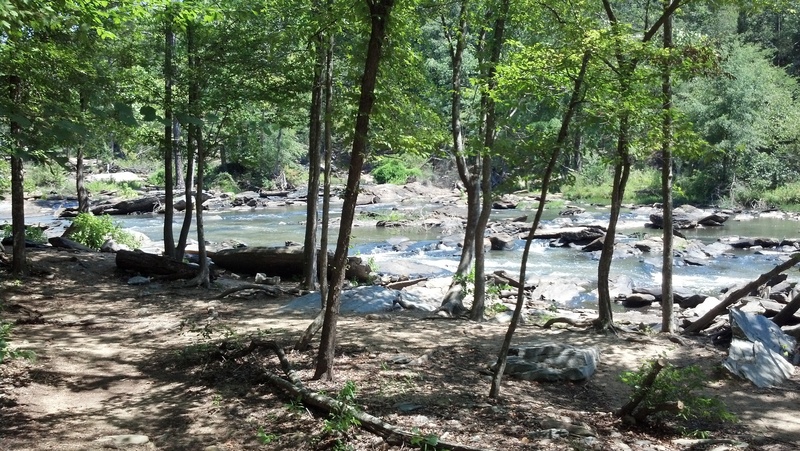 Well, over the weekend my girlfriend and I got out of the city and went for a hike at Sweetwater Creek State Park, where the trails took us on a bit of a historical tour – one that turned out to be oddly relevant to my story. This is the Sweetwater Manufacturing Company (or what’s left of it anyway), a textile mill opened in 1849 to make thread, yarn and cloth. The 40 acres on which the mill would eventually be built was purchased in 1844 by former Georgia Governor Charles McDonald and Colonel James Rogers (for $500, if you wondered). This is particularly interesting to me because it was apparently quite common for government authorities to control cotton production in the old south, and my story just happens to feature a nefarious Colonel Grammar who’s conspiring with his allies to control all manufacturing by the time the war finally ends. The story’s still going, so who can say whether Colonel Grammar will ultimately be successful (because no one knows how the Civil War ended, right?) but it’s safe to say former Governor McDonald and Colonel Rogers didn’t have the best of fortunes in their business venture. 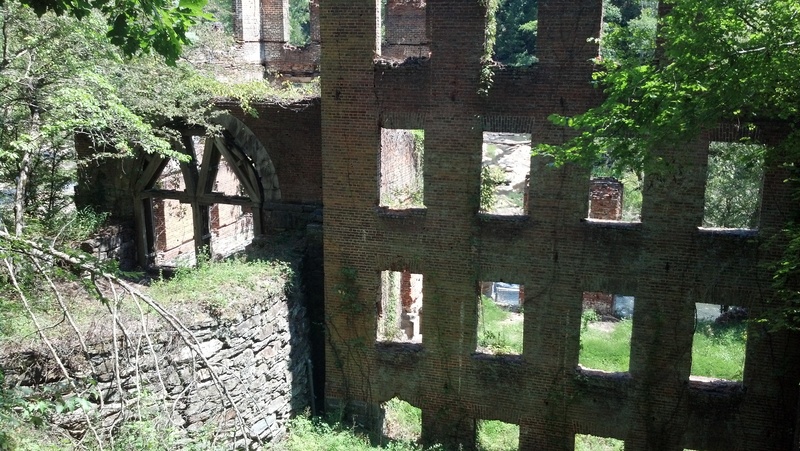 The mill was burned by Union troops in 1864 (Major Haviland Thompkins, more specifically, on the orders of the infamous William Tecumseh Sherman) and the town that surrounded it was abandoned. More accurately, the mill workers and their families were forced to relocate (in much the same way the Cherokee Indians who used to inhabit the area were forced to relocate via the Trail of Tears). 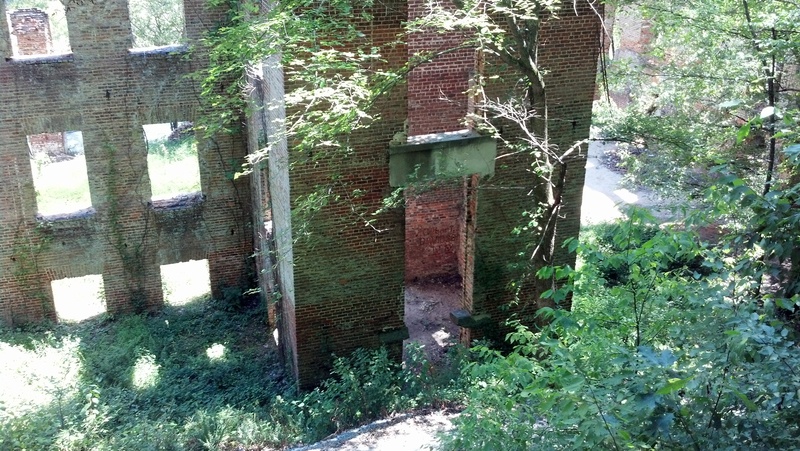 Now the only thing left is the mill’s brick frame and the rushing creek that used to power it – surrounded by acres and acres of dense Georgia woods. Get your inspiration on, y’all.